Interesting article on the e-book settlement worth sharing. 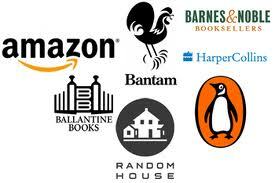 E-book settlement has publishing world in turmoil. The case, which alleges that three major publishers, Hachette Book Group, HarperCollins Publishers and Simon & Schuster conspired to limit competition in the e-book market, and fix the retail price, is enough to make my head spin. Was it the “in desperate times you must take desperate measures” philosophy that made them think they would achieve their goal? I’m still trying to figure that one out. And with all this “turmoil,” I can’t help but wonder where authors and pre-published authors, particularly those traditionally published, should take cover. Or should we seek refuge in the e-embrace of Amazon and Barnes and Noble?